Deep Japan Gathering Momentum – Jarman International K.K. Deep Japan was established in August 2013 as a website venture to provide current and useful information to enhance the experience of visitors to Japan by giving them greater access to Japan’s “local” side. It uses a unique approach to a travel website, which involves long-term international and Japanese residents called “Senpai” (experts) writing about real information. WIth over 300 contributing writers, Deep Japan has continued to grow in the months since it’s establishment, boasting more than 1000 articles for international visitors to Japan. Deep Japan is set to continue gathering momentum in 2014, with the website being updated this month so that the articles are now categorized into themes, creating greater usability to the viewer. With plans to continue to update the website to reflect the latest tourism trends in Japan, Deep Japan continues to analyse the content on the site and has come up with the DeepJapan Top 20 Japan Travel Key Words for 2013. Over half of the top 20 words were to do with Japanese cuisine and etiquette related to Japanese cuisine, it would appear overseas visitors to Japan have a keen interest in Japanese food and drink and how to enjoy Japanese food in an authentic way. 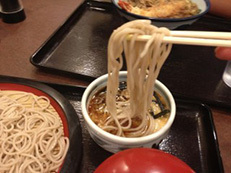 Take a look at the wealth of information about Japanese food on Deep Japan here. ← Previous Previous post: Who is the H&R Group?